The term “hip” is used by most people to describe one of two areas. Many people are referring to an area on their back around their tailbone, but often people are describing where the thigh connects to the pelvis. 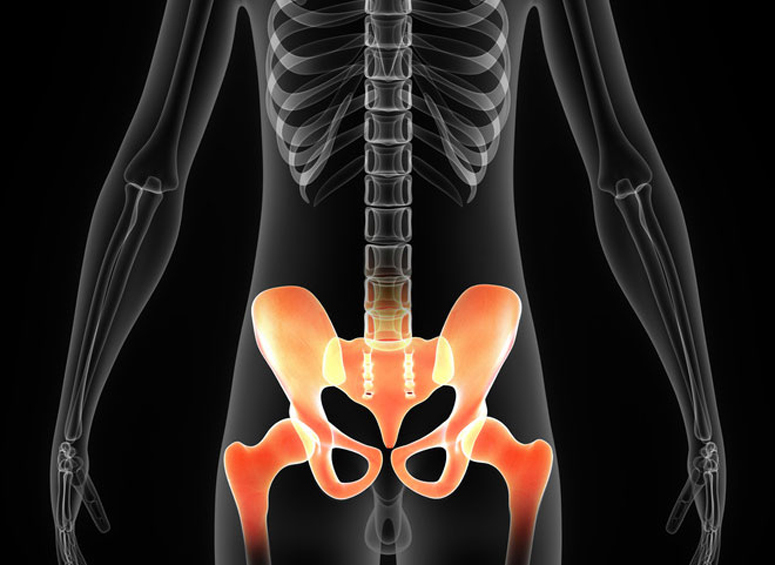 It is essential to clarify what one means when saying he or she has “hip” pain, simply by pointing to the area. The first area people point to is the Sacro-Iliac (SI) Joint. There are two SI Joints that lie next to the bottom of the spine, but above the tailbone. The joints are small, but very strong and act as a shock absorbing structure. Dysfunction of these joints can cause low back, groin, hip and leg pain. The leg pain can feel very similar to sciatica or a lumbar disc herniation. The second area, where the thigh bone connects to the pelvis, is a ball and socket join. It is generally very stable and needs a great deal of force to injure a healthy hip. However, hip pain can still occur with a fall, serious sport injury or overuse. Two of the more common conditions associated with this area are Bursitis and Degenerative Joint Disease. Bursitis: Hip bursitis is an inflammation of the bursae, sacs of fluid, around the hip. Bursa, protects the tendons and is located between two bones. When the space between the bones and the bursa narrows, normal motion is hindered. As a result, irritation occurs at both the bursa and the tendons and causes swelling. Reducing the inflammation is essential to treating bursitis. Degenerative Joint Disease (DJD): Degenerative joint disease, also known as osteoarthritis (OA), is one of the most common joint disorders. It is often caused by wear and tear and aging. Cartilage serves as a cushion between bones. When the cartilage is broken down the bones are unable to glide over one another smoothly, which then causes pain and discomfort. As DJD progresses, the ligaments and muscles become stiffer and weaker and the hip often swells.